Complete Prohibition Of Child Labour: Still A Distant Dream? “In the little world in which children have their existence, whosoever brings them up”, Charles Dickens wrote in Great Expectations, “there’s nothing so finely perceived and so finely felt, as injustice”. What Dickens wrote is evident from the fact that India is home to 33 million child labourers in the age group of 0–18 years (Census 2011). This unjust reality is contrary to the assertion that “India i.e. Bharat, is the Union of States and consists of its children and those under privileged children for whom the founding fathers of the Constitution have enacted a Constitution”. It is embarrassing for India, as a nation, to still find its children working, when they deserve a childhood free from labour. A safe childhood is human right, which is being violated every day in our ‘welfare state’. The Child Labour (Prohibition and Regulation) Act was enacted by Parliament in 1986, but it was never adequate to rid India of the scourge of child labour completely as it had several flaws including, inter alia, that it did not address the right to education or any rehabilitative measures for a child. Thirty years after the passing of the Act, when the Legislature decided to amend the principal statute, it was reasonably expected that the policymakers will remedy the ailment of child labour through strict imperatives and prohibit child labour completely, thereby, ensuring safe childhood which a child essentially deserves. The Child Labour (Prohibition and Regulation) Amendment Act, 2016 (No. 35 of 2016) (hereinafter referred to as ‘the Amendment Act, 2016’), had been notified by the Union Cabinet on 29th July, 2016, but unfortunately, it seems that the Indian legislature has not only left some serious issues unaddressed but also left scope for defeating the entire purpose of the Act. It would be apt to state that at first glance the Child Labour (Prohibition and Regulation) Amendment Act, 2016, seems progressive. However, on careful reading, it can be found that the new Act “suffers from many problems”. It is painful to point out how the Amendment Act per se negates the effect of this blanket ban on child labour in all occupations by introducing a provision under sub-section (2) of Section 3 wherein it provides that “where the child helps his family or family enterprise after school hours or during vacations”, the ban will be rendered ineffective. In a country where child labour is a fact of its economic life, it is difficult to justify the intention of the policy makers of striking a balance between the need for education and the socio-economic reality of India by allowing children to work under the facade of ‘helping’. After attending six to eight hours of classes in school, the Section makes unreasonable expectations from a child to provide help to its family by working in brick kilns, cotton farms and toil in carpet making, beading making, zari and lock making (these occupations have been struck out as “hazardous processes” by the Amendment Act) in unregulated labour conditions without having their studies affected. This exploitative clause fails the very purpose of education. Besides, the term ‘help’ adds to the vagueness of the nature of engagement of the child with its family, thereby, leaving huge scope for exploitation under unhealthy working conditions. Article 39 (e) of the Indian Constitution clearly lays down the obligation of the state to secure that tender age of children is not abused and citizens are not forced by economic necessity to enter avocations unsuited to their age or strength. A report prepared by Bachpan Bachao Andolan states that of the 5,254 children rescued, one-fifth worked with their families or were part of a family-run trade. Further, to quote Nobel laureate Kailash Satyarthi: “We were able to rescue a large number of children in the last five years. When we analysed their profile, we found out that 80 per cent of them would not have been rescued if the proposed amendment had already been in place as most of the children are employed in family-run trade”. This amendment, hence, not only interferes with the fundamental right of children to receive free and compulsory education and the directive principles but also defeats the very purpose of the Right of Children to Free and Compulsory Education Act, 2009 (RTE Act). Kailash Satyarthi rightly calls the law “a missed opportunity”. The RTE Act, 2009, defines a child as a male or female of the age of 6 to 14 years (See S. 2 (c) of the RTE Act). The Factories Act, 1948, and the Plantation Labour Act, 1951, state that a child is one that has not completed 15 years of age. The Protection of Children from Sexual Offences Act, 2012, defines child as any person below the age of 18 years. In the international arena, the United Nation Convention on the Rights of the Child, which India signed and ratified in 1992, defines child as every human being below the age of 18years unless under the law applicable to the child, majority is attained earlier. The Standing Committee on Labour (2013-2014) in its 40th Report had recommended in its report to define a child as someone below 18 years, with different norms for protection from exploitative labour for children below 14 years and children between 14 and 18 years. Uniformity in the definition of ‘child’ was an objective which was sought to be achieved by the principal Child Labour (Prohibition and Regulation) Bill, 1986, but the policy makers have somehow overlooked this basic object of the Act. In addition, there is also a need to define the term ‘child labour’ in the Act to be able to deal with the issue effectively. 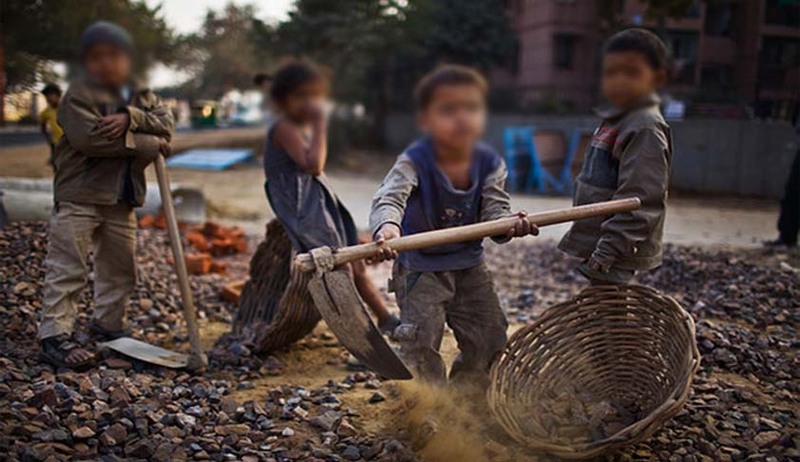 In 2005, the Delhi High Court attempted to define ‘child labour’ as: “the system of employing or engaging a child to provide labour or service to any person, for any payment or benefit, paid to the child or any other person exercising control over the said child”. The International Labour Organization (ILO), of which India was a founding member, also defines child labour as “work that deprives children of their childhood, their potential and their dignity, and that is harmful to physical and mental development”. The new Amendment Act lags in providing proper definitions despite available guiding principles. Of all the amendments brought about by the Amendment Act, 2016, the removal of Part A and Part B of the Schedule appended to the principal Act is the most regressive amendment as it has substituted 18 occupations of Part A and 65 processes of Part B listed as hazardous with just 3 occupations (mines, inflammable substances or explosives) and 29 processes as mentioned in the Factories Act, 1948, and excludes the unorganised sector where the ailment of child labour is most palpable. This, in turn, gives a legal sanction allowing children to engage with their family or family enterprise under the mask of ‘helping’ in occupations and processes like slaughter house, garages, handloom industry, roadside eateries, chemical mixing units, cotton farms, brick kilns, gem polishing, lock making, ceramic industry, stone cutting, zari making and so on and so forth. It is important to note that the prohibition of adolescent labour is also restricted to this new Schedule, which has been narrowed down radically. Even Article 5 of ILO’s convention concerning Minimum Age for Admission to Employment, 1973 (No. 138), which India is yet to ratify, provides that “its provisions shall be applicable at least to mining and quarrying, manufacturing, construction, electricity, gas and water, sanitary services, transport, storage and communication, and plantations and other agricultural undertakings mainly producing for commercial purposes”. A nation, which has been since a very long time, struggling to preserve the innocence of its children and provide them with basic education cannot afford to drop the unorganised sector from the purview of child and adolescent labour. Further, the Amendment Act has also enhanced the power of the Central Government to omit any hazardous occupation or process from the miniature Schedule. There seems to be no bona fide intention behind this amendment but to put the masters of the unorganised enterprises at a higher pedestal at the cost of snatching dignity and more particularly, childhood of children. Mr. Varun Gandhi, Member of Parliament (Lok Sabha), had described the amendment which reduced the number of industries considered hazardous for children from 83 to just three as “lunacy”. With regard to the punitive face of the Amendment Act, enhancing punishment for violation of its provisions is a welcome move. Besides, Section 14B provides that in every district(s), a Child and Adolescent Labour Rehabilitation Fund shall be constituted in which in addition to Rs 15,000 credited by the government, the penalty so collected shall also be credited. With regard to rehabilitation measures, the Act vaguely states that a rescued child or adolescent shall be rehabilitated in accordance with the laws for the time being in force. It is disheartening to expose that after 30 years, when the policy makers finally decided to amend the Act, they failed to provide for a comprehensive procedure for prevention of child labour and rehabilitation of children so affected. For devising any rehabilitative measure, it is apposite to understand the reasons which compel children to become part of the labour force. There are several socio-economic and demographic causes for prevalence and perpetuation of child labour like, inter alia, unemployment, indebtness, large size of family, illiteracy, ignorance of parents, absence of schemes for family allowance, traditional attitude (See Dr JC Kulshreshtha, Indian Child Labour, Chapter II, Ashish Publishing House, 1978) but chronic poverty is the root beneath everything (See SN Tripathy, Exploitation of Child Labour in Tribal India, 10 (1991, Daya Publishing House, Delhi)). In this light, it can be said that awarding stricter punishment to parents or guardians for permitting their child to work for commercial purposes may have a little deterrent effect but it will never be able to deal with the problem in a holistic manner. Mahatma Gandhi’s philosophy of “Hate the sin and not the sinner” must be the foundation of these social security statutes which ought to provide for effective rehabilitation and social integration. The rehabilitation procedure may be divided into two parts: A) Dealing directly with children who are already in the labour market. B) Dealing with children whose employers or parents are made liable for punishment under the Act, 1986. The Act must adopt not only prohibitory and rehabilitative approach but also preventive approach. There should be a provision empowering the appropriate government to make periodic inspections of all places of employment especially where hazardous occupations/processes are carried out. In case of adolescents, this power may be limited to those places where hazardous occupations/processes are carried out. There is a need for a specific monitoring mechanism to check incidents of child labour. Therefore, apart from the District Magistrate, independent vigilance and monitoring Committees at both State and district level must be constituted to oversee the enforcement of the Act. By the virtue of the RTE Act and Article 21-A of the Constitution, the state must also ensure that after rescuing the child from the exploitative environment, she/he is admitted to a proper school. In 2005, the Commission for Protection of Child Rights Act, 2005 (CPCR Act), was passed to ensure the enforcement of various rights guaranteed to children under the Constitution of India and other laws framed by the Legislature. It provides for the constitution of national commission and state commissions. Besides, there is National Child Labour Project for the rehabilitation of child labourers under which project societies at the district level are fully funded for opening up of special schools and rehabilitation centres providing non-formal education, vocational training, supplementary nutrition, stipends, etc. to children withdrawn from employment. Under the CPCR Act, these commissions have been empowered to regularly monitor the rehabilitation of the rescued children. A policy can be devised from commissions in this regard. Child beggars and girls must be specially attended to in order to mainstream them to formal schools. The financial incapacities and pauperism compel the parents to push their children to suffer day and day out to make both ends meet. The government had initiated the National Child Labour Project (NCLP) Scheme in 1988 to rehabilitate working children in 12 child labour endemic districts of the country which has now reached 270 districts. Taking into account the socio-economic fabric of India, it is of utmost necessity that the Act, 1986, explicitly makes detailed provisions for rehabilitation of children and for an alternative support of income in the form of compensatory service or protected work opportunities to their families. The Constitution of India, the grundnorm, mandates the state to secure a healthy childhood to all its children by virtue of Article 21-A, 24, 39(e), (f), 41 and 45. Despite this, slavery is the key note of industrial life in India (See SN Tripathy, Exploitation of Child Labour in Tribal India, 10 (1991, Daya Publishing House, Delhi)) and child labour prevails in one or the other nook and corner. It is necessary for the Child & Adolescent (Prohibition and Regulation) Act, 1986, to have nexus with other labour and child welfare legislations to uproot this menace from India. The new law banning child labour is “no ban at all”. Even after the new Amendment Act, the blueprint for tackling child labour has multifarious lacunas and is not conducive in providing the fullest extent of justice to its children. The complete abolishment of child labour is still a distant dream. It is high time to realise that child labour is not just a social issue but a moral one. The cardinal right to free and compulsory education to children is a fundamental right and child labour is antagonistic to this basic right of a child. Priya Baranwal is a final year student of BA LLB (Hons) at Faculty of Law, University of Allahabad. Anurag Bhaskar is a final year student of BA LLB (Hons) at Dr Ram Manohar Lohiya National Law University, Lucknow. His twitter handle is @anuragbhaskar007.